It was a gospel answer to a sinful question. 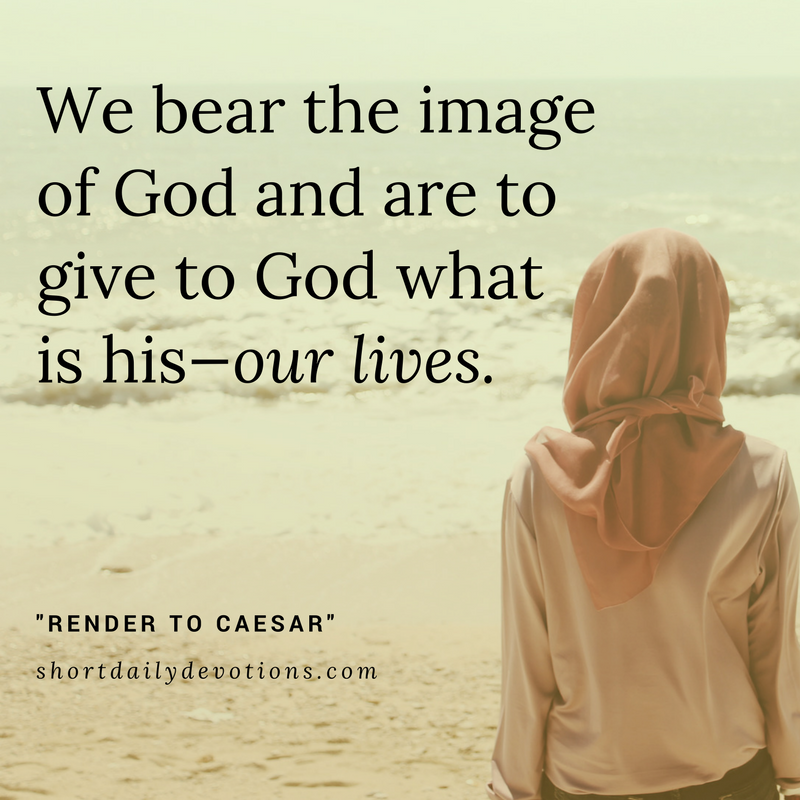 We bear the image of God (Genesis 1:26–27) and are to give to God what is his—our lives. Marvel at the brilliance of Jesus today, knowing that we bear his image and likeness, and are made alive through the Holy Spirit who lives within us (I Peter 3:18). Will you render your life to God today?